TH3D was officially launched in September 2017 in terms of an actual brand name. The first product that came to market was our EZABL kit back in March 2017 and was originally sold under Tim’s IT website (TimothyHoogland.com). The popularity of the product and our support made it that we needed to make the 3D printing products under their own name, thus TH3D was born. Our focus is to get our customers the best products at fair prices. We’re all makers here and we know how frustrating getting cheap parts from China is and not getting what you actually wanted the first time. Everything we carry is parts and products that we use on our own in-house machines to make our lives easier. There is enough to worry about in this hobby/industry so let us help simplify your 3D printing life by making sure you get quality parts and excellent support. We believe in giving back to the community as well because without it we would not be here. We put out and maintain our own Firmware branch that helps users get more out of their machines at no cost to them while making the printers much safer. We make honest review videos on our YouTube channel so that you know if a machine is worth checking out or not as well as tutorials for the machines. Financially we give to the Marlin Project and the OctoPrint Project monthly on Patreon. In addition to that, we provide the Marlin developers with a product when they need it for testing their firmware changes and give to the OctoPrint project every time we sell an EZPi kit. TH3D is a Woman-owned business. Samantha took majority ownership in 2019 so the rest of the team can focus on the technical side of the company. Samantha joined the TH3D team full time in early 2018 once things started ramping up. She handles all the customer orders, legal/finance for the business, inventory management, and customer service related to orders. Samantha has a Bachelors Degree in Accounting/Finance from Carthage College. She’s worked as an Internal Auditor for Exelon Corp in Chicago as well as a Staff Auditor for Crowe Horwath. 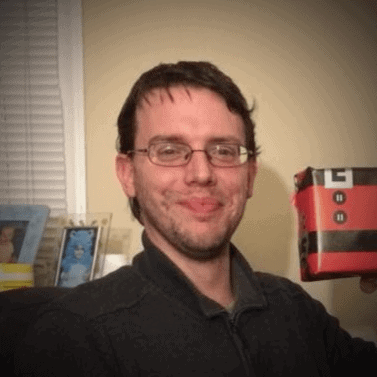 Tim has been a tinkerer and maker since he was a young age. He’s always been into computers and electronics. He started 3D printing in late 2016 as a hobby and it quickly took over his focus as his main passion. Professionally Tim has over a decade of Information Technology experience from IT Support, Project Management, and Systems Administration. This has allowed him to get TH3D up and running smoothly in a short period of time. With his extensive background in IT support he’s applied the same methodology to TH3Ds support model to get our customers the best experience possible. Doug is our 3D designer and manages our Discord server. During the day he is a systems administrator for an IT firm in downtown Chicago. At night he helps us out with 3D modeling and customer support on our Discord server along with constantly making our Discord bot better. He has extensive 3D modeling experience (YouTube and WWW), 3D printer experience, and customer support experience. He handles all our custom 3D modeling for TH3D and our customers that need custom models made. Hobbies Include: His dog Pheobe, 3D Printing, Computers, 3D Game Level Design, PC gaming, and 3D Modeling. 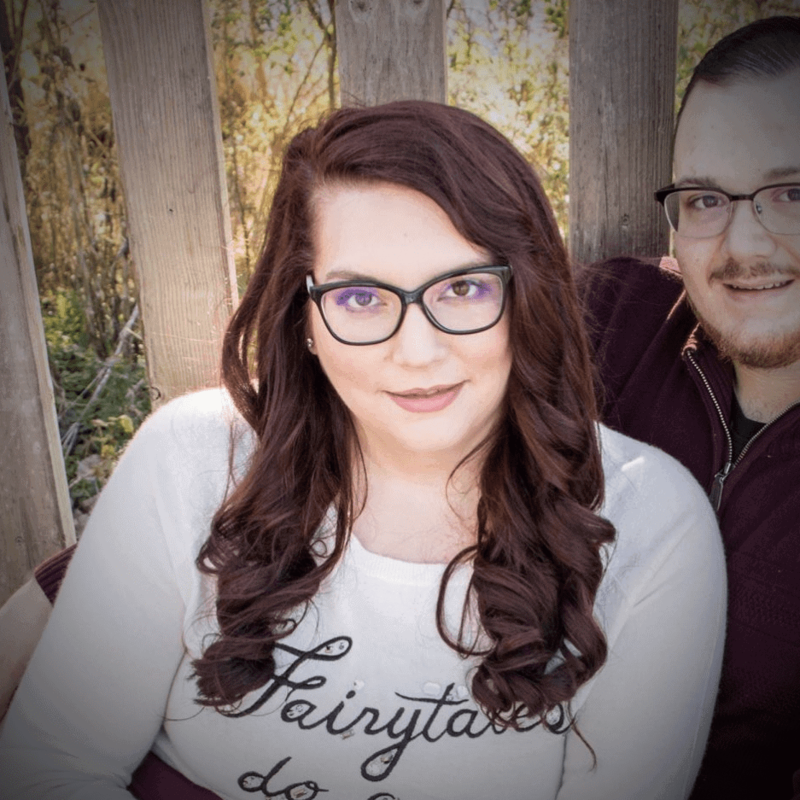 Tor joined TH3D as one of our support techs back in late 2017 when Tim and Samantha needed help with tickets during their wedding and honeymoon. He was a customer of ours who really enjoyed our products and was eager to help us when we really needed it. Tor has been instrumental with helping our customers throughout the entire time TH3D has been around. He’s a very genuine guy and we couldn’t be happier to have him on our team. William is our full time 3D Printer Support tech. He’s our first line of support when our customers need assistance with a product or have questions. We met William through a customer that he had helped out in one of our communities and the customer referred him to us because he had such a positive experience with him. 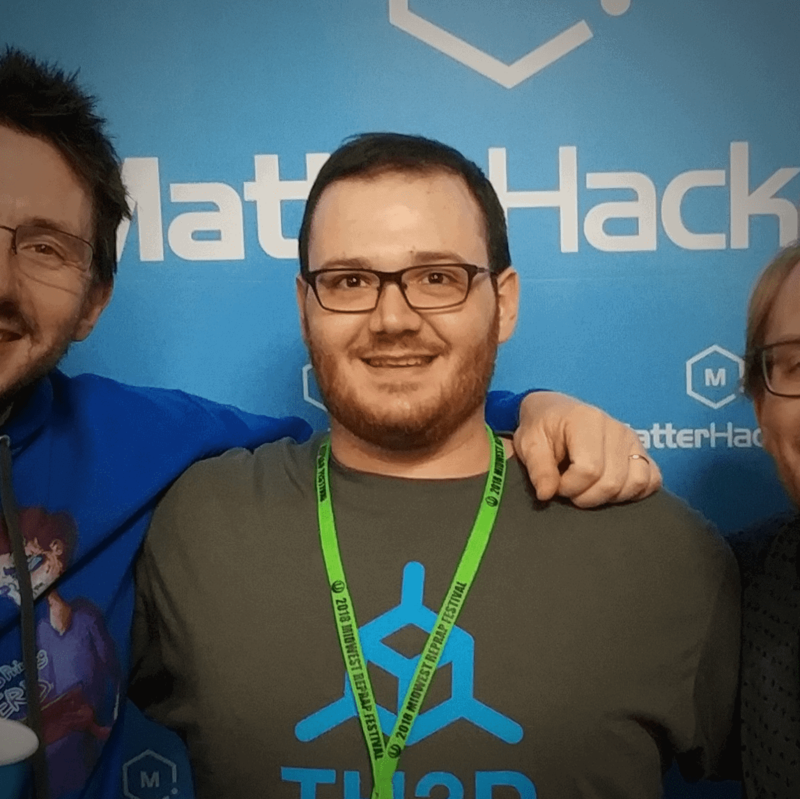 We talked to him and decided to bring him on board with us as we want people that are just as passionate about 3D printing as our customers are helping out! Hobbies Include: Building computers for friends and family, of course 3D Printing, starving 3D modeler, electronics tinkerer, shady tree mechanic. Alan is our main guy that handles our EZABL kit assembly, product QC, and packaging. We met him through our connections in the BSA from when Tim was active. He is going to school for Construction Management. He’s trained by Tim for soldering and wiring skills. He’s new to 3D printing but after enough time here we think he’s going to end up with a machine or two himself. 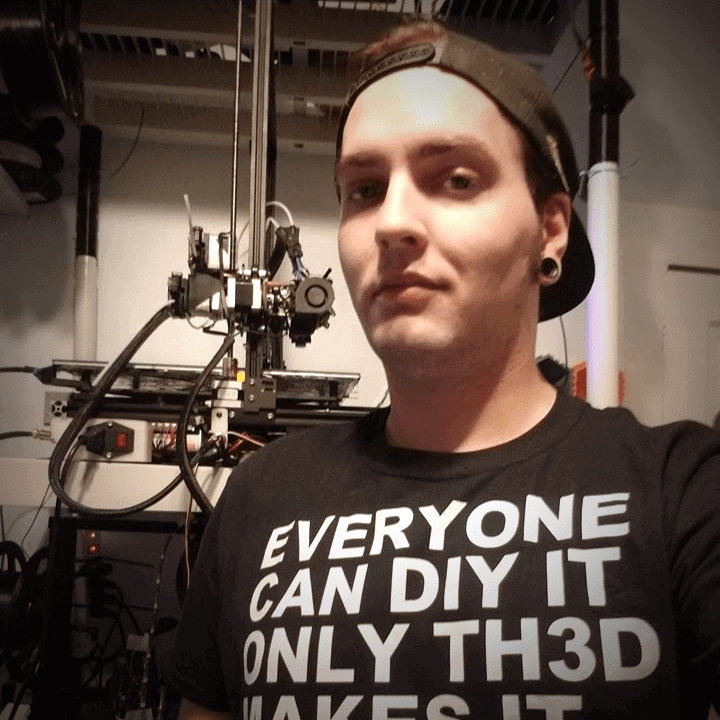 Rami is the latest addition to the TH3D team. He came highly recommended from a friend of ours due to his “geek skills”. He is going to be working on products for us and we’re training him on everything 3D printing. I have a CR-10S S5 with from what I can see the most wonky unlevel bed I’ve ever seen. Your EZABL once I got it set correctly is working way better then the hacks I’ve seen to “level” a bed. Thanks and for the support through my silly mistakes. I just started printing a few month ago. I had many issues and most after some print time I would point to a level bed. Try as I may I found it near impossible to do with my CR-10S. I had months of up and downs, failed prints etc. Since purchasing the EZABL for my printer, I now realize the bane of my printing experience was just that, trying to level my bed. Now with EZABL I’ve been pretty much printing round the clock for over a month and have not had to make bed adjustments. My prints have gone from horrible to exceeding my expectations. I attribute this to not only a solid product, but to the great support I’ve received from the staff at TH3D. My friend decided to buy a CR-10 S5 and I said get your EZABL on order! I bought the TH3D EZABL KIT. Took my $250 3D printer to a $900+ dollar printer within 30 minutes! I am one very satisfied customer. I have an EZABL on 2 of the 3 Creality Ender 2 printers I own, and I also have one on my Creality CR-10S. Many people can’t help but to “plug and pray” running their 3D printer. The EZABL is as close as you’ll ever get to “plug and play” with your 3D printer. The support from TH3D Studio is great and there’s always something coming down the road from them. For those out there needing help with your printing issues and needs TH3D is the only place you need to go! Tim and his wife have been instrumental in my success! When I first got my 3D printer, nothing drained the excitement faster than manually adjusting bed leveling knobs and coaxing the first layers fail after fail. After the quick installation of the TH3D EZABL on my CR10S, I now spend more time searching for the next exciting print, and less worrying if it will work. Had extreme issues when leveling the bed on my S5 as it both never got really level and because of the size of the bed plate it was a problematic. I got the EZABL Mini and it made it so much easier! Now when I want to print I don’t have to prepare for 15 minutes like before, it just works. I will never go back to manual leveling again. I first got into 3D printing with my first printer being an Alfawise U10. When I received my U10 I had been looking for upgrade before it even arrived in the mail that’s when I stumbled upon TH3D on YouTube. I watched them unbox their U10 and decided to give their shop a look. I started with a build sheet which arrived in no time shipping was super fast. Installed the build sheet and off to printing I was. So about a week later again on YouTube I saw an installation video for his EZABL kit I knew i had to have it. Here we are 2 printers now the U10 and now an CR-10S S5, each have Their Tough Hotend+Extruder+Direct setups both have his EZABL kits, EZMat sheets, also the Mean Well PSUs they carry. Needless to say I will be a returning customer for ALL my printers needs! TH3D runs a great shop with excellent customer service and awesome shipping times, with the amount of support they offer it is a no brainier not to buy from them! One happy Australian! Got an EZABL for my CR-10 and haven’t looked back since. Easy to install, clear instructions and now can genuinely just press start print, head off to work and come home to find my print done and spot on. Support has been available when needed but honestly I’ve not needed it. Just read the instructions and follow the trouble shooting guide and you’re good. Accept no substitutes, you get what you pay for.